I cherish the lovely, simple, joyful moments like random 'rowing'. Paper is October Afternoon. I love the colors, so pretty!! 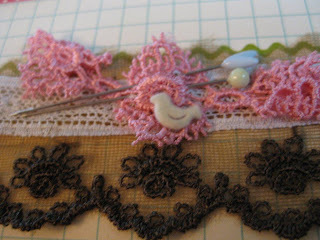 Love the pink lace and the tiny clustering there!